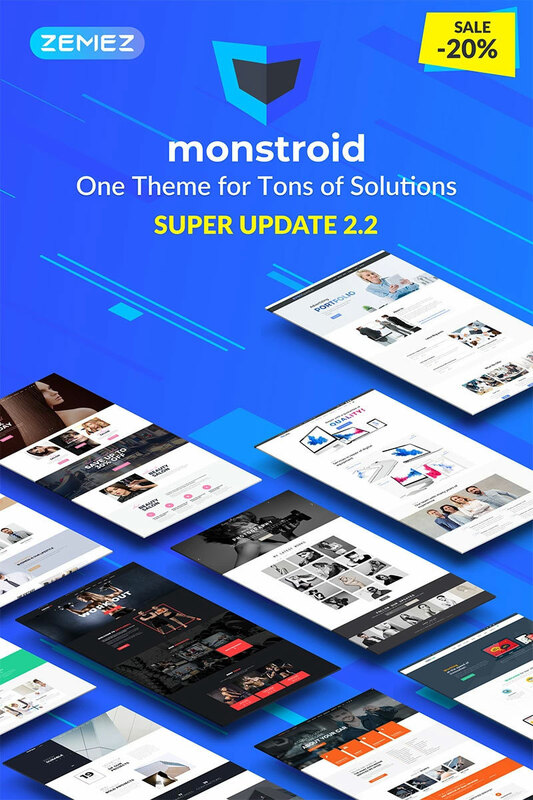 This post is about to let you know Monstroid latest update Monstroid 2 WordPress Theme. If you are a WordPress user and know almost everything about the Monstroid template, you will be surprised to know that the developers have recently released its updated version. 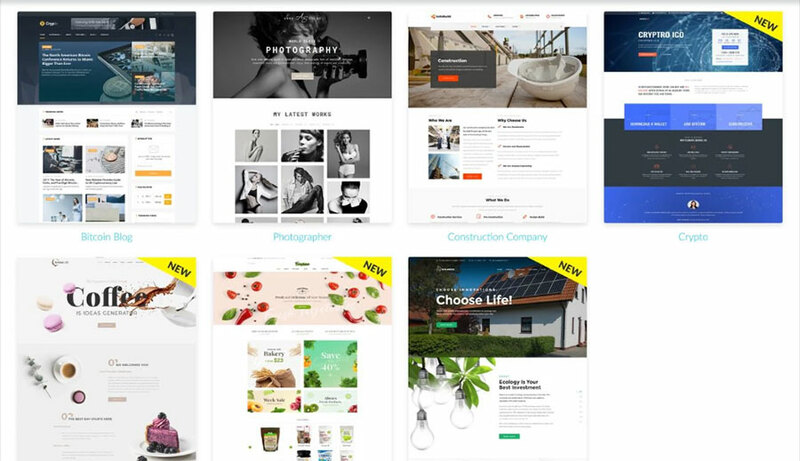 Now, it has become even more powerful, highly-functional and multipurpose including everything you need for creating a fully-fledged website from optional demos, business niches, and one-click installation to a complete set of premium plugins, and much more. If the news about Monstroid update has caught you off guard, we recommend staying with us to learn more about the new features. Further, you will find out how many horsepowers are under the Monstroid hood and how it differs from Monstroid2. What’s New In Updated Monstroid? 4 new skins or child themes have been added to already existing ones. They can be used for coffee, organic food, cryptocurrency, and solar energy projects. Each template comes with its unique set of features that may not be repeated in the other skins. Templates are available in demo versions for a previewing purpose. JetBlog add-on allows you to display share your posts at their best with the help of Elementor. JetTricks plugin gives you an opportunity to apply elegant visual effects and tricks to your web page. Cherry Projects plugin helps to create a professional business portfolio. Cherry Pop-up add-on allows customizing popup windows on the page. Cherry Search and Socialize let you apply an advanced search functionality to your site and introduce your website on the web with social options correspondingly. TM Photo Gallery is a perfect option if you need to append beautiful galleries with high res images to your site. Appointment Booking plugin makes you more productive allowing your clients make an appointment by themselves. Jet Data Importer is a new word in Elementor Page Builder pack. If you want to save some time, this add-on is right what you need. Let’s imagine that you tend to create another website and need to use posts, comments, widgets, and settings from the existing one. 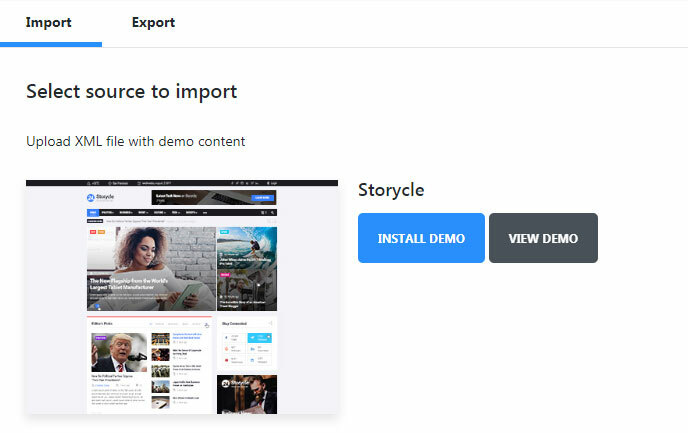 With Jet Data Importer, you do not need to create the above-mentioned components from the very beginning, all you have to do is just hit the button and the plugin will create an xml file. This is the very file that can be imported to the other site. What’s The Difference Between Brand New Monstroid and M2? Even though Monstroid and Monstroid 2 seem to have similar features, they still compete with each other. Their constant updates seem like racing. 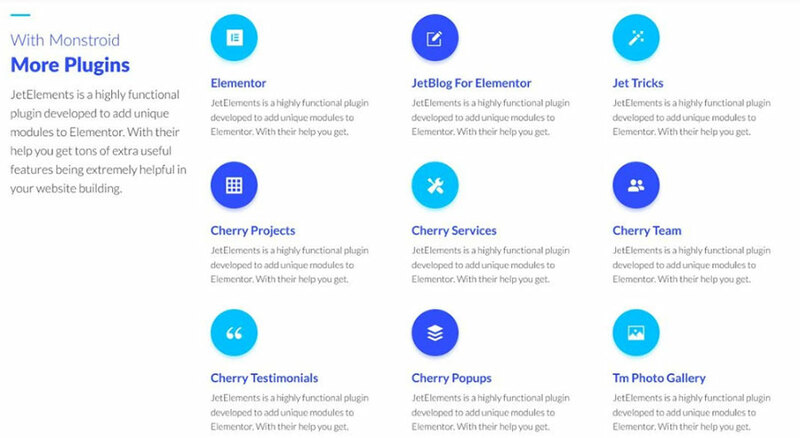 Monstroid has been equipped with Elementor Page Builder and Jet plugins earlier than Monstroid 2. Meanwhile, Monstroid2 has been recently updated with Magic Button and Modular Constructor which make it really powerful. Despite the differences, both themes are in high demand among WordPress users. The number of people using Monstroid and Monstroid2 proves the statement. With a bulk of various plugins, widgets, add-ons, page builders, and other web elements, they are good to go for both tech geeks and non-techies. The updated version of Monstroid has been released on September, 14 and we are proud to officially present it for the masses. The developers updated the theme with users in mind, thus, we are in hope that you will fully appreciate it. If you have any question about the updated template, feel free to contact a support team at TemplateMonster.com.